On March 13th and 14th, we were honored to welcome Dr Toh from Portsmouth (UK) and Dr Oğuz from Ankara (TUR) for live surgeries in the CHU Grenobles Alpes. Mr. Askoy and Mr. Erdogan, from Impetus, our distributor in Turkey, were also present. 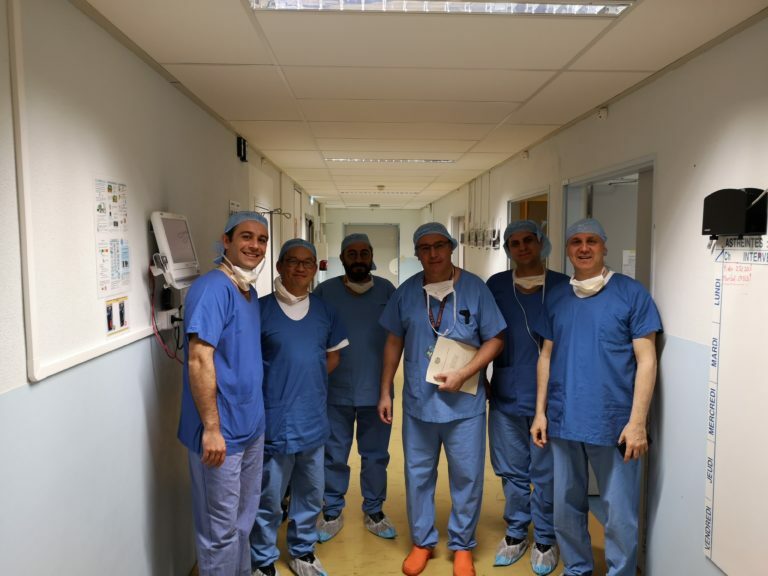 The delegation attended to a myomectomy surgery with JAIMY Advance, performed by Dr. Istasse, and a sleeve gastrectomy with VIKY EP, performed by Pr Reche. The two surgeries were a real success and we are excited to strengthen these partnerships in a near future.